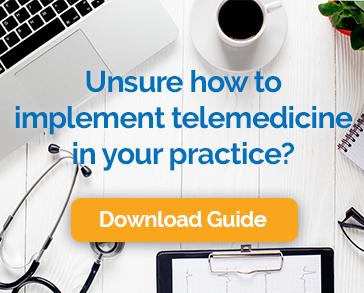 We’ve talked quite a bit about the financial incentives for healthcare providers to embrace telemedicine. The impact to the bottom line can be substantial. But what about the financial implications for patients? Physicians at the University of Pittsburgh looked into just that and what they found was stunning. Adults seeking care for children spent an additional 13 minutes, and those seeking care for another adult added 24 minutes to the mean time. These numbers are all higher than the average patient direct cost of $32 for co-payments and other out-of- pocket charges. Each year, Americans spend about 2.4 billion hours making visits to healthcare providers. When valued at average wages, we are looking at more than $52 billion in opportunity costs. That’s equal to the total working time and income of 1.2 million adults. “There are several possible mechanisms to decrease patient opportunity costs. One approach is reducing inefficiencies in physician clinical settings. Although some amount of patient wait time is unavoidable in a clinic setting, prior work has demonstrated that it is possible to significantly decrease patient wait time through appropriate scheduling. Another approach is to promote alternative means of providing care. Work-site, retail, and school-based health clinics have the potential to reduce opportunity costs associated with physician visits by reducing travel and/or wait times. We couldn’t agree more. Telemedicine can’t replace every in-office visit, but providers who offer it help their patients keep a few more of those $52 billion in their pocket.